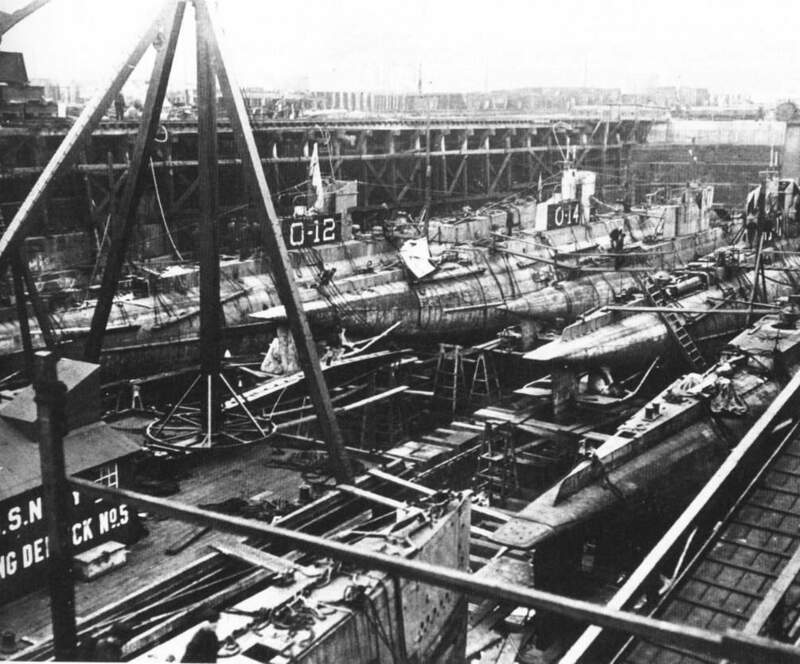 O-11 Class Submarine: Laid down, 6 July 1916, at California Shipbuilding Co., Long Beach, CA. 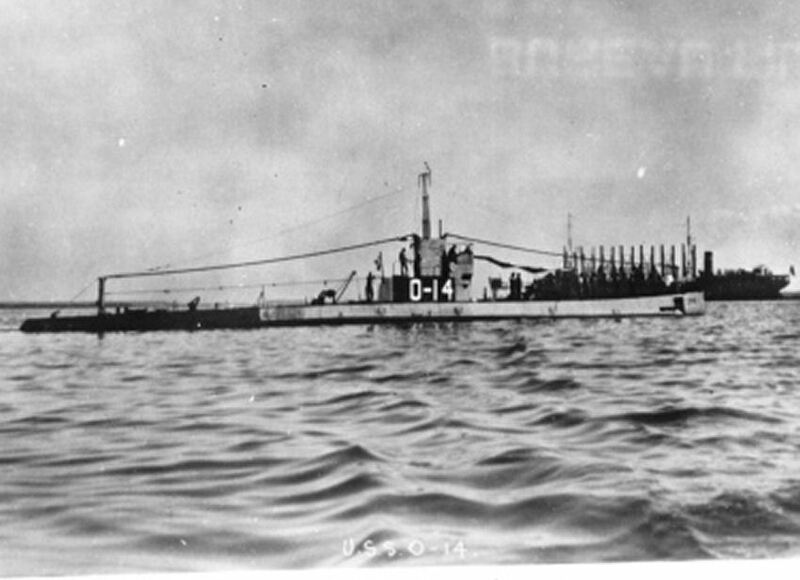 ; Launched, 6 May 1918; Completed at Mare Island Navy Yard; Commissioned, USS O-14, 1 October 1918; Designated (SS-75), 17 July 1920; Decommissioned, 17 June 1924, at Philadelphia, PA.; Laid up in the Atlantic Reserve Fleet, Philadelphia; Struck from the Naval Register, 9 May 1930; Final Disposition, sold for scrapping, 30 July 1930. 238k From inboard to outboard: O-11 (SS-72), O-13 (SS-74), O-14 (SS-75) , O-15 (SS-76), O-16 (SS-77), and O-12 (SS-73), at the Washington D.C. Navy Yard, circa 1918-24. USN photo # 80-G-1024950, from the National Archives and Records Administration (NARA), courtesy of Daniel Dunham. 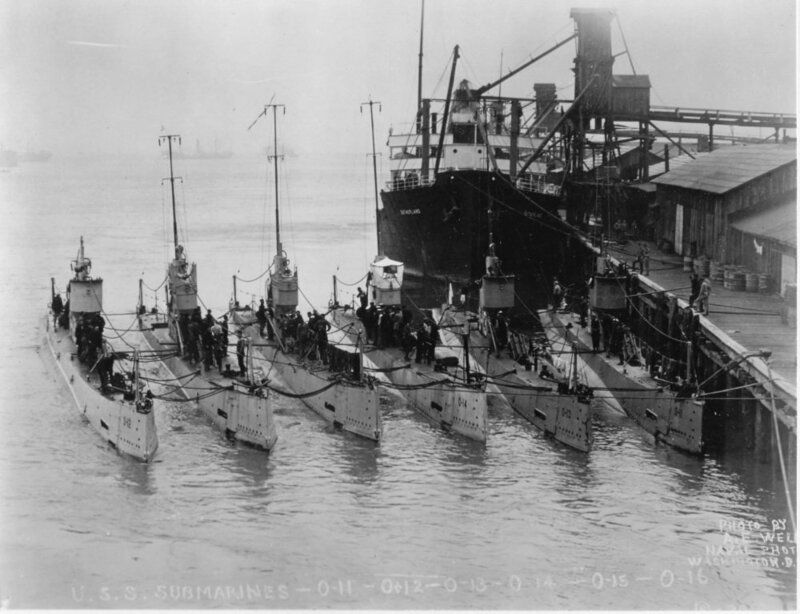 122k Lake boats show their distinctive sterns at Philadelphia Navy Yard in 1919: O-boats, inboard O-12 (SS-73), outboard O-14 (SS-75), middle boat, N-7 (SS-59) and two other unidentified boats. 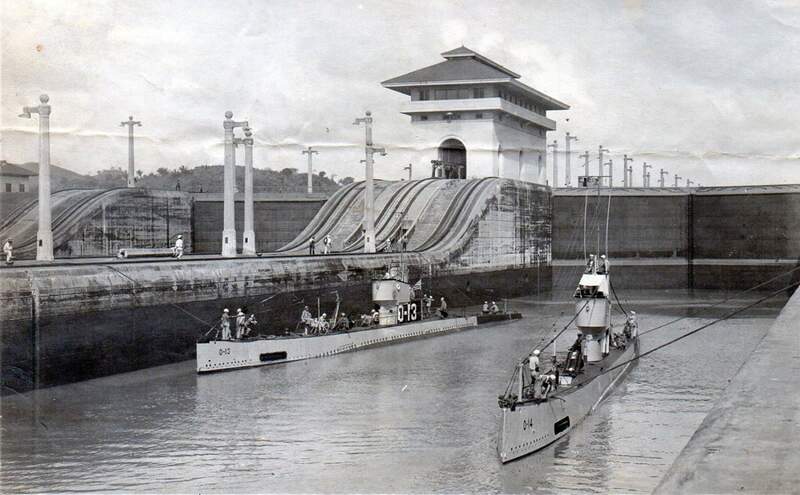 235k O-13 (SS-74) & O-14 (SS-75) in Panama Canal, either 1920 when they arrived in CZ, or 1923 on their way back to the Atlantic. Photo courtesy of CDR John Joseph Hughes' collection via David Wright. 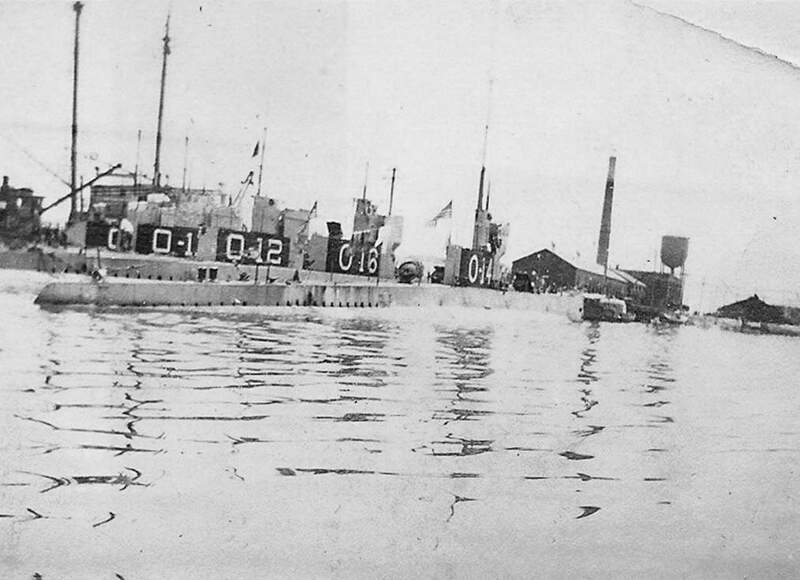 88k O-14 (SS-75), off Mare Island Navy Yard, Vallejo, CA., circa 1924. Note unidentified Navy collier in background. USN photo courtesy of ussubvetsofwwii.org. Photo i.d. courtesy of Robert Hurst. From inboard to outboard: unidentified O boat, [probably O-13 (SS-74) or O-15 (SS-76)] O-11 (SS-72), O-12 (SS-73), O-16 (SS-77) & O-14 (SS-75). USN photo submitted by Charles Worcester.